In her first year as a Chatterbox staff member, Heaven is the section editor of Peanuts. 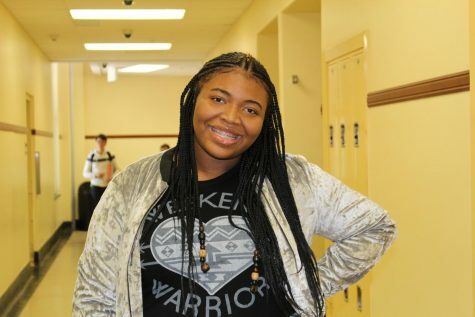 She is looking forward to working with the seventh and eighth graders on getting great content in the paper and getting to be well acquainted with them so their voice can be heard. She loves going to sporting events and school dances. She plans on furthering her academic career at Kent State University for Fashion Design and Merchandising. She also enjoys cooking and online shopping.